Please pray for two little heart buddies who are having surgery Monday morning. Little Bodie (the cutest little thing ever!) is having his Glenn (the 2nd surgery for HLHS). Please pray for his mommy & daddy, his big sister, and of course the surgeon and all the staff who will be working on sweet Bodie. He's had a tough journey but I'm praying for smooth sailing -- he's earned it!! 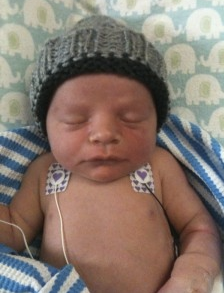 One of the newest members of our heart community is Bowen. He'll have his Norwood Monday morning. Bowen's daddy is the lead singer of the Christian band Sanctus Real. 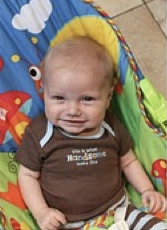 This family is new to the special heart world and can definitely use your prayers as they turn their sweet little one over for his first heart surgery. It's a scary place -- but I find peace in the promise of knowing that the Lord is watching over them and will see them through every step of their journey. Thank you in advance for lifting these families and heart babies to the Lord! Awww thank you so much for the shout out! Cannot tell you how much it means to have others praying for us as well!! !